One of the challenges that brides often face is what to buy their lovely bridesmaids. Bridesmaids put in a lot of hours, money, and patience (think bridezillas), and therefore deserve a thoughtful gift they'll love. However, it can be difficult for a bride to find a truly great, original gift that doesn't break the bank. 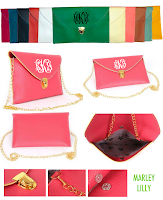 Enter one of our fave all-things-personalized stores, Marley Lilly to the rescue! Marley Lilly has a ton of gift ideas for your bridesmaids, available in a variety of colors so you can match your wedding colors perfectly...or buy each girl a gift in colors to match her alma mater. In fact, you can pretty much scratch off your entire wedding party gift list by shopping Marley Lilly - monogrammed handkerchiefs for the dads, personalized jewelry boxes for the moms, a fun monogrammed bag for your flower girl...they even have a nice selection of unique gifts for your groom-to-be to purchase for his groomsmen. One of our fave Marley Lilly bridesmaid gift ideas are these monogrammed hats - how fun for each of your ladies to have a personalized hat. It makes for great pictures! And to make it even sweeter, Marley Lilly offers a free hat with the purchase of 7 hats! Having a Fall/Winter wedding? 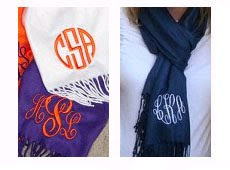 Another great bridesmaid gift idea is to give your ladies each a monogrammed scarf. Buy them in their school colors and they will love wearing them all throughout football season. Buy seven monogrammed scarves on Marley Lilly and get the eighth free! 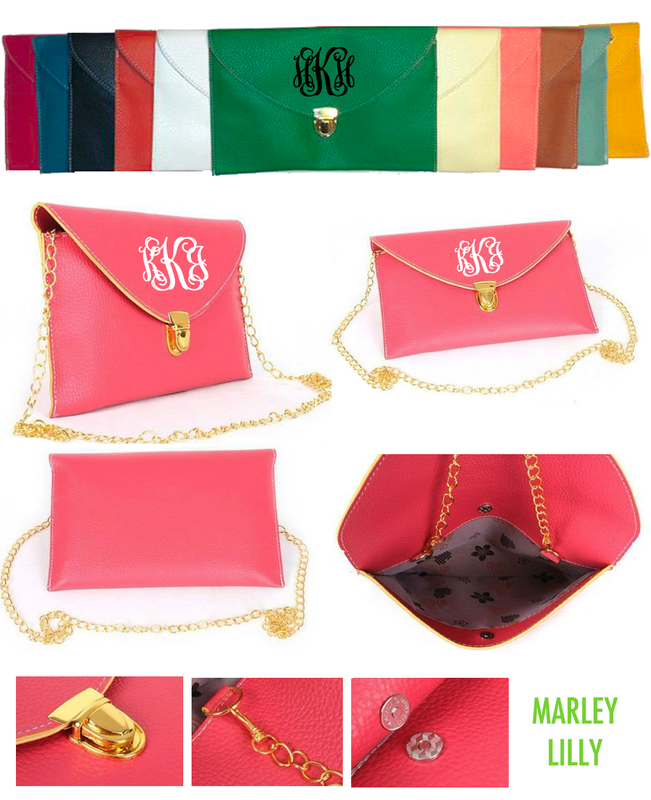 However, we're not sure that the other gifts can top this one - check out one of Marley Lilly's newest items - the monogrammed luxe cross body clutch! Available in 11 colors with an even bigger selection of thread colors! Of course we are partial to the orange - especially since it has purple trim on the edges. And it looks especially cute with the white monogram! 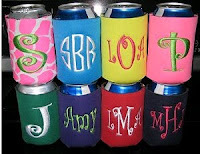 These would be super cute for bridesmaid gifts - perfect for your ladies to carry to the reception. Guess what? Marley Lilly has been generous enough to offer one very lucky Clemson Girl reader their very own luxe cross body clutch in orange with a monogram of their choice! That is a possibility of five total entries! Deadline for all entries will be TONIGHT, Wednesday, May 23 at 7pm EST. We will compile all of the entries, randomly draw a winner and announce the winner back on the blog soon after the deadline. The winner will have 48 hours from when we announce their name to contact us or we will draw a new winner. So make sure you come back to the blog later tonight to see if you've won! 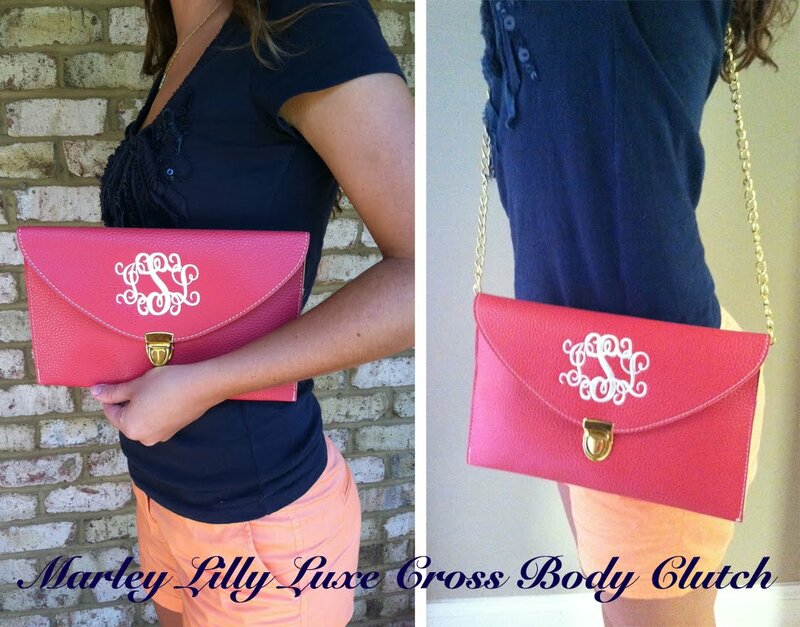 We love, love, love these Marley Lilly clutches. Good luck ladies! I LOVE this clutch! Chic, yet has that "wow!" factor. Lili T. from Houston, tx! i tweeted about it and followed you and ML! Love the orange! I'm a SC girl but live in IL and date a Clemson grad!! And I emailed 2 friends! I did all the entry's! Can always use more orange!! Fingers crossed! Love this bag!! I shared about giveaway on FB! Orange is my favorite color!! 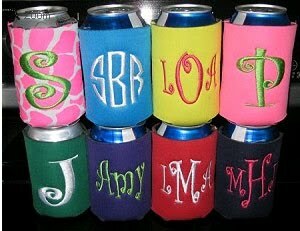 I love all things monogrammed! These are way to cute not to have! Already 'Like' their page and commented on the photo! 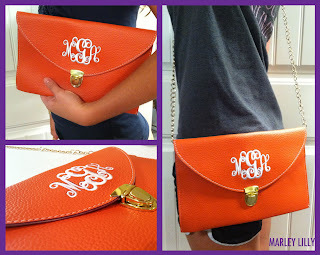 LOVE this orange clutch--SO cute! 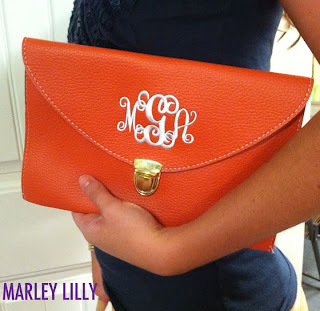 Love this orange clutch and Marley Lilly!